Home > Italian Cuisine > Quiz: How Well Do You Know Italian Food? So, you think you know your Romana from your Sardo or the meaning of cacciatora? Put your reputation as a knowledgeable Italian food lover on the line by rising to the challenge and taking our fun quiz. 1 What is the name of the breed of cattle synonymous with a Fiorentina steak? 2 Truffles are among the most expensive ingredients available to the Italian chef. Which two animals are used by hunters to sniff out these prized possessions? 3 Which London-based, Michelin-starred chef was described by one of his fellow restaurateurs as the Italian Marco Pierre White? 4 From which animal is pancetta sourced? 5 Which Italian city is referred to as ‘Il grasso’ because of its rich culinary heritage? 6 Romano and Sardo are grating and table cheeses, respectively. Both are categorised as Pecorino, the name which denotes the animal from whose milk it is made. Which animal is it? 7 A number of recipes for braised meat bear the legend alla cacciatora in their titles. What does this translate as in English? 8 The sangiovese grape is closely associated with wine from one of Italy’s most famous growing regions. Which region is it? 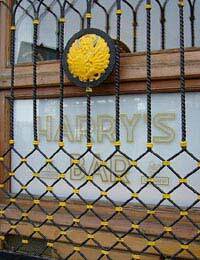 9 Harry’s Bar in Venice is recognised as the birthplace of two iconic items that any self-respecting Italian restaurant should offer to its customers. What are they? 10 Campania is the home of the variety of plum tomato held to be the finest available to an Italian chef. What is the name of the variety? 11 Osso Bucco, or braised veal shank, is the toast of which northern industrial city? 12 White Vernaccia wine carries the name of a Tuscan town world famous for its medieval towers. What is the name of the town? 13 The visual power of an insalata tricolore lies in the fact that it showcases the three colours of the Italian national flag. Which ingredients are responsible for flying the flag? 14 Which staple of the Italian store cupboard is made using cornmeal? 15 Traditionally, there are four courses that constitute an Italian meal. What is the name of each individual course? 16 Coffee and mascarpone are among the ingredients in this famous trifle. What is its name? 17 What is the town north of Milan that gives its name to one of the world’s most famous blue cheeses? 18 The flowers of which summer squash are first dipped in batter before deep frying to produce a delicious antipasto dish? 19 Panzanella is a hearty salad designed to satisfy the most ravenous of lunchtime diners. In addition, it allows the thrifty cook to avoid which kitchen leftover from going to waste? 20 Marsala is a fortified wine that serves as both digestif and as an effective background note in the hands of a skilful chef. From which region of Italy does it originate? 21 Which island is renowned for the quality of its lemons? 22 Which spice lends its distinctive colour and flavour to risotto Milanese? 23 Which milky white soft cheese bears a name that literally translates as ‘cooked twice’? 24 A traditional central Italian snack consists of chargrilled bread which is then rubbed with a clove of garlic and topped with oil and pepper. What is it called? 25 What were the Italian football team pelted with when they returned from their less than successful World Cup campaign in 1966? 1 Chianina; 2 Dog, pig; 3 Giorgio Locatelli; 4 Pig; 5 Bologna; 6 Sheep; 7 Hunter’s style; 8 Chianti; 9 Bellini, Carpaccio; 10 San Marzano; 11 Milan; 12 San Gimignano; 13 Basil, tomato, mozzarella; 14 Polenta; 15 Antipasti, primo, secondo, dolci; 16 Tiramisù; 17 Gorgonzola; 18 Courgette; 19 Stale bread; 20 Sicily; 21 Capri; 22 Saffron; 23 Ricotta; 24 Bruschetta; 25 Tomatoes.